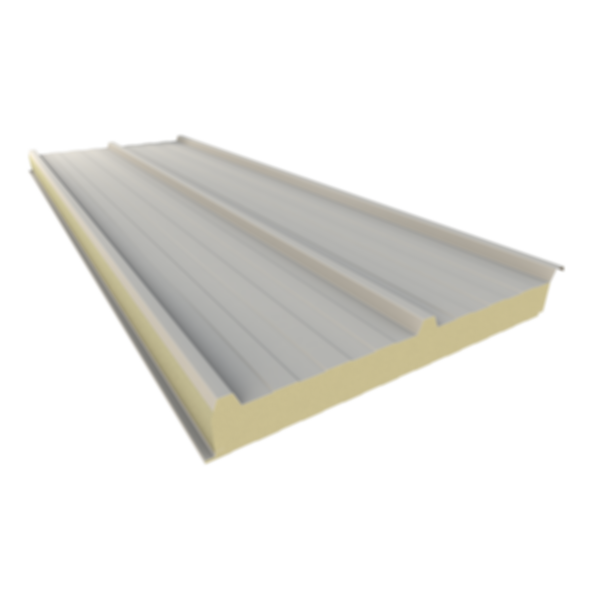 Our HR3 insulated metal roof and wall panels are an economical solution compared to field-assembled High Rib roof applications while bringing high R values, energy efficiency and outstanding fire rating. This 40" wide panel installs quickly and easily by through fastening into supporting members. A unique EPDM gasketed saddle washer allows the fastener to be located at the standing ribs and out of shed water. Panel Length: 8' min to 50' maximum based on a 48' flatbed trailer length. Consult your sales representative for other available lengths.